If you are like me, you draw make-up inspiration from minute long Instagram videos or full length YouTube tutorials. Recently, make-up artists have been getting creative to say the least, with the way they do their eyebrows. Watching these videos made me promise myself to always fill my brows as naturally as possible. However, I will sit back and allow these crazy eyebrow trends to live out their 15 minutes of fame. The first one which caught my attention was the âfeather browâ. It is achieved by brushing half your eyebrow hairs upwards, and the other half downwards, so that the brow looks like a feather. Gel or Vaseline helps to hold the hairs in place. 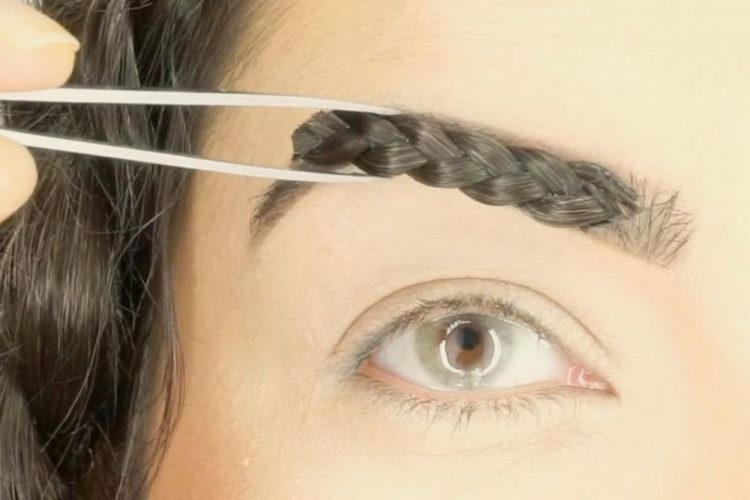 The second trend is the âbraided browâ. In my opinion, this one has not caught on as much as the feather brow. At first, I thought, âHow is it even possible to braid your short eyebrow hairs?â But I soon realized that there was no braiding involved, just an illusion created using make-up. Some even attach a small braid to their eyebrow with adhesive to achieve this look. I donât get why they would go through all that trouble when they could just braid the hair on their head. The third trend which I think is really annoying is the âwavy browâ. Quite honestly, I think itâs the perfect make-up look if youâre going to a Halloween party as a pack of ramen noodles. It also seems time-consuming. Iâm sure it takes twice as much time as filling your brows naturally. Every decade has its trends, so I guess itâs safe to say that these eyebrow trends are to 2017 what the super thin, jet black eyebrows trend was to the early 2000s.